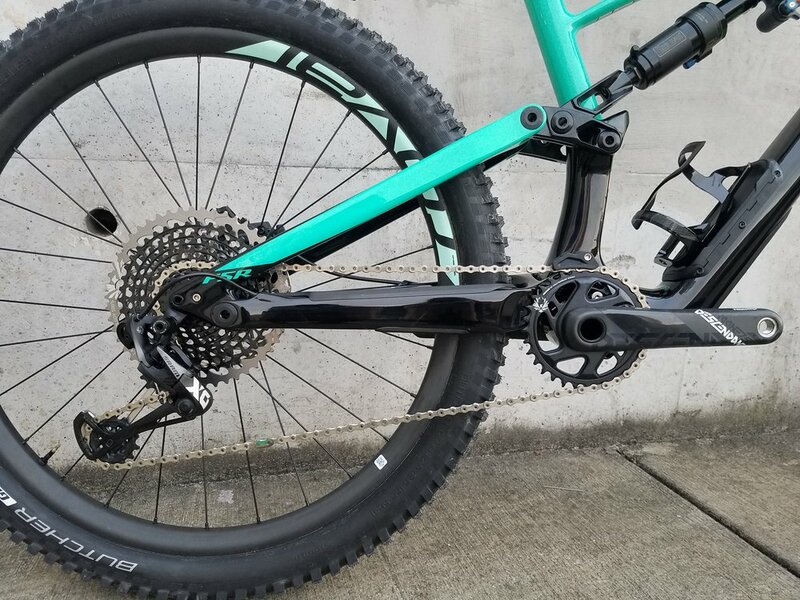 This bike will eat the trails! 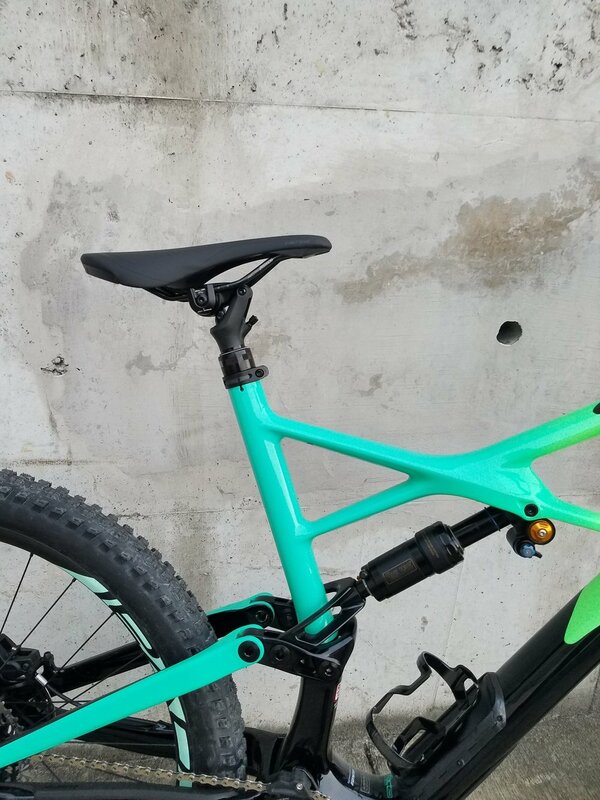 The geometry features a slacker front end, a longer top tube, short chainstays, and a lower bottom bracket. All of this together makes the bike truly feel glued to the ground, and the platform is more responsive and capable then ever. We even added some bits, like integrated storage with a SWAT™ Door at the down tube, and made "old" new again by making a triumphant return to a threaded bottom bracket. To keep the weight down, the frame is constructed from our top-tier FACT IS-X 11m carbon fiber. 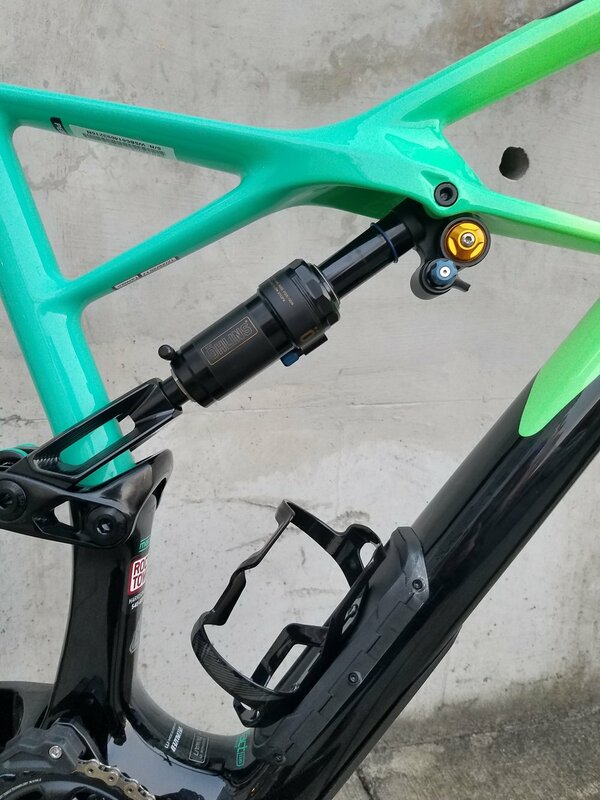 And to ensure top-level performance on the descents, this material choice is greeted by 170mm of plush rear and 170mm front travel, plus a geometry that can be "adjusted" via a shock extension with a "low/high" setting. Lots of room to pack stuff! Get that seat out of the way for descents and drops! Easy access to your muli-tool!